I’m probably preaching to the choir in this blog. Growing up, I had friends from different Christian denominations and other religions, and I loved them and respected them. However, I have noticed that few of my Orthodox friends and their families attended their Orthodox churches; on the side, they attended non-denominational churches. This was strange to me; maybe it was coming from a sense of zeal for my Orthodox church. I may not have understood all the differences between the churches at the time, but in the end, I just felt uncomfortable about it. Since I became a priest, I have started to come across this mode of hybrid Orthodox lives more frequently. I see some families that come to attend the Sunday liturgy in the morning and a few hours later attend a non-denominational church. Others are committed to their non-denominational church and come to the Orthodox church to get married, baptize their children, attend the feasts, attend a few liturgies throughout the year, receive the sacraments, and arrange the funeral of their loved ones. It is very common now to hear words like “Father, it’s okay to attend both churches; the churches have to be united anyways,” or “Father, I go because I like the music and the sermon,” and “I was invited to their meeting, and the people were very nice and invited me to go again.” Another manifestation of this hybrid orthodoxy is that under some beautiful slogan, the catechumen converts come to baptism with very minimum preparation for the purpose of performing a marital ceremony for a couple, and immediately after, they get back to their lives as before. I entered into a conversation with a Sunday school volunteer teacher who said to me that the only difference between the Orthodox church and the non-denominational church is the sacraments. Sadly, this understanding is now common among some Orthodox believers. Another hybrid Orthodox manifestation is when some Orthodox believers only participate in the church meetings/gatherings, planning committees, church festivals, trips, non-liturgical prayer meetings, and Bible studies but are not involved in the sacramental life. If we look into the lives of the early Orthodox Christians, it wasn’t only their orthodoxy (their Orthodox faith) but it was also their orthopraxy (how to practice the Orthodox faith). In other words, their theological understanding led them to the way they worshiped and lived. For one to think that the life of sacraments is secondary to the understanding of the Scriptures is wrong. And for one to think that a mere participation in the sacraments without a complete orthodox life filled with Scripture reading, fasting, personal prayers, and service is also unbalanced and will lead to no growth. For it’s clear from the Scriptures that life in God is not only in the sacraments but also in the word of God and vice versa: “Most assuredly, I say to you, he who hears My word and believes in Him who sent Me has everlasting life, and shall not come into judgment, but has passed from death into life” (John 5:24). “Then Jesus said to them, ‘Most assuredly, I say to you, unless you eat the flesh of the Son of Man and drink His blood, you have no life in you. Whoever eats My flesh and drinks My blood has eternal life, and I will raise him up at the last day’” John 6:53-54. “Most assuredly, I say to you, if anyone keeps My word he shall never see death” (John 8:51). This hybrid mode of church attendance is troubling on both sides of the aisle. It says that we have come to a point where we do not know the theological differences, that we don’t care about the theological differences, or that we enjoy both ways of worship. No one can deny that the two churches have very different ways of worship, different ways of understanding the Holy Scriptures, different ways of living Christian piety, and, of course, different theology. Everyone is entitled, and should take the time, to choose the church that he or she desires to attend and believe in the religion and denomination that they conclude has the complete revelation of God. Please do not assume I’m calling for more segregation, being negative, or focusing on our differences while I should focus on our common ground. I also don’t think of myself as the “defender of orthodoxy”; I’m only a student, and I will remain a student. It’s definitely healthy to have a sense of unity among the different denominations, and it’s definitely great and encouraging to see the heads of the churches coming together to pray, to resolve some theological differences, or to work together on service projects. However, this is very different from a person who is regularly attending both churches. Hybrid Orthodox believers are not only the result of the loud non-denominational preaching that is filling the air, which they can’t be blamed for, but also a world that is on the verge of losing its desire for anything mystical and wants to receive everything with the intellect only. A world where the heart and the eyes of faith have lost their place. A world that had gone far from receiving God in the heart and on an unintended attempt to receive the gospel only in the intellect while the psalmist cries out, “My heart is ready, O God; my heart is ready” (Ps. 57:7). Fr. 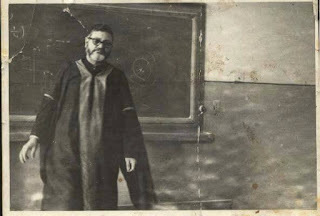 Mathew the Poor, referring to Orthodox youth in his book on ministry, says, “The youth today ask, discuss and dispute in the spiritual matters as if it’s science, after every question another question, behind every discussion readiness for another, and from dispute to dispute for the sake of disputing because he lived on an intellectual protestant method” (Ch. 3, Pg. 97, 2002). In my opinion, this put pressure on the Orthodox preachers, teachers, and pastors to provide to their congregations their desired hybrid Orthodox sermons. You can probably listen to a complete sermon preached in an Orthodox setup without having any elements of Orthodox teaching or Orthodox life. It has come to a point where some popular Orthodox sermons sound like a lecture on moral living, a self-help talk, a Christian psychology motivational speech, or sometimes even the prosperity gospel. The sad part is that at the end of these sermons, you hear the preacher/speaker adding some tagline that has to do with the sacraments, the holy theotokos, or a saint story. Fr. Mathew the Poor, in his book on ministry mentioned above, says the youth in the Orthodox church today feel free to get spiritual knowledge from any church (source) outside the Orthodox church; this is the result of implementing the Western Protestant curriculums in some Orthodox churches, which created in the minds of the youth a hunger for intellectual knowledge more than practicing and living their faith, so the result is a desire for knowledge regardless of the source. I’m very surprised how someone can regularly participate in two different denominations. If one is well established in a certain denomination, his spirit will not enjoy, benefit from, or embrace the other. Hybrid orthodoxy living is a diluted orthodoxy and may not even be orthodoxy at all. 1-We, Orthodox priests, preachers, pastors, and Sunday school teachers, have to set Christ as the center of our teaching. We have to bring proof that Christ is speaking through us, that He is not weak but powerful in us (2 Cor. 13:3). We have to explain to our congregations the beauty of His presence in the Orthodox church, His salvific work, and the centrality of the sacramental life to receive His salvation. 3-There is a very wide range of understanding of the Scriptures among the different Christian denominations, and the Orthodox church has a very unique, beautiful, and comprehensive understanding of it, but it’s not communicated to the people. 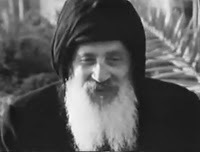 The non-denominational church’s main service is centered around the sermon, which is usually from the Scriptures, hence a very essential part of educating our Orthodox people is that we need to preach on our understanding of the Scriptures and their use. 4-We as Orthodox believers have to educate ourselves on the liturgical life. We have to go back to our correct and uncluttered understanding of the liturgical prayers. We need to focus more on educating our people on the mystical simple working of the grace of God rather than the current misunderstanding that focuses on motions, actions, language, and tunes. Beloved brother and sisters, by no means is this to be considered as a comprehensive assessment or a complete solution to the current situation but rather a few thoughts about the subject, which I feel strongly about. Finally, I pray that we all truly study, search, and live our Orthodox lives to the fullest and that we all come to the unity of the faith and of the knowledge of the Son of God, to a perfect man, to the measure of the stature of the fullness of Christ. Great message Abouna!! I know this has been a controversial topic within the Diocese for some time. I pray for this message to spread like wildfire. Thank you very much. Pray for me.